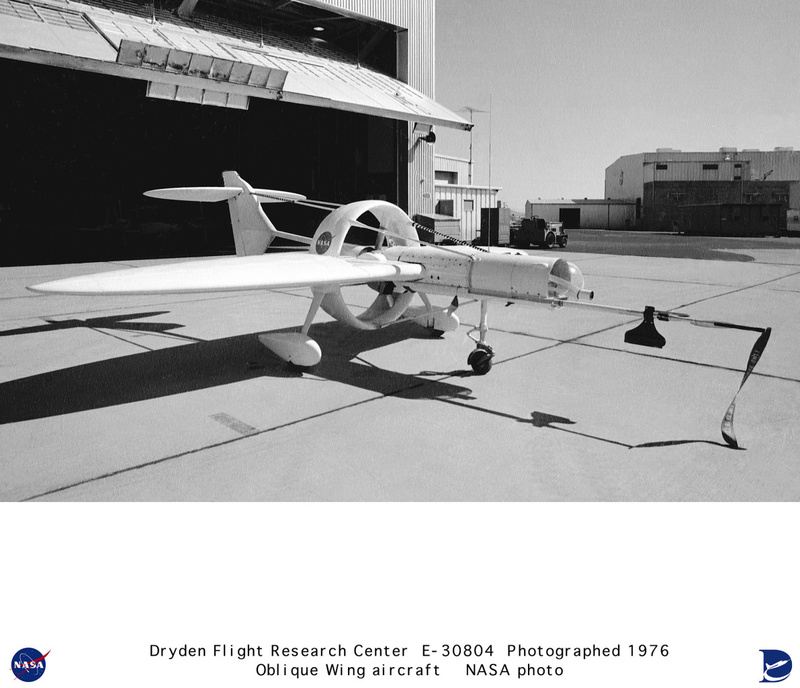 This 1976 photograph of the Oblique Wing Research Aircraft was taken in front of the NASA Flight Research Center hangar, located at Edwards Air Force Base, California. In the photograph the noseboom, pitot-static probe, and angles-of-attack and sideslip flow vanes(covered-up) are attached to the front of the vehicle. The clear nose dome for the television camera, and the shrouded propellor for the 90 horsepower engine are clearly seen. The Oblique Wing Research Aircraft was a small, remotely piloted, research craft designed and flight tested to look at the aerodynamic characteristics of an oblique wing and the control laws necessary to achieve acceptable handling qualities. NASA Dryden Flight Research Center and the NASA Ames Research Center conducted research with this aircraft in the mid-1970s to investigate the feasibility of flying an oblique wing aircraft. 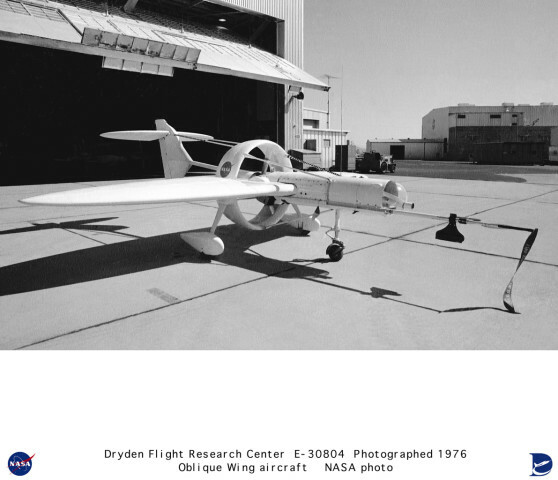 Keywords: Oblique Wing Research Aircraft (OWRA); Remotely Piloted Research Vehicle; NASA Dryden Flight Research Center; NASA Ames Research Centers.